Scott Disick and his much younger girlfriend, the beautiful Sofia Richie have been taking their love to new heights – 39,000 feet to be exact! The new pair was spotted by the paparazzi holding hands at LAX as they hurried to catch a flight out of L.A. yesterday. Scott was dressed casually, sporting a dark blue tracksuit paired with white sneakers. Meanwhile, Richie looked pretty comfortable as well in her jeans, leather jacket and black booties. Richie also added some personality to her outfit with a bag and a pair of cool shades. The 19-year-old model took to social media later on to post an Insta story that hinted she and Scott were headed to Italy together. A few hours later, Sofia, who is a model representative for Adidas, also shared some clips from the sports brand’s Iniki shoe launch at Milan Vittorio Emanuele store. Afterward, she and her reality TV boyfriend headed out to enjoy some Italian sightseeing. Big thanks to @adidasoriginals and @footlockereu for the great #INIKI event tonight in the Milan Vittorio Emanuele store. The new INIKI burgundy colorway is available at Foot Locker stores and online. #adidasoriginals @FootlockerEUForHer #approvedForHer ? This is not the first time the pair went on a vacation together. Earlier in the month, they returned from a romantic trip to Puerto Vallarta during which they shared a lot of PDA. 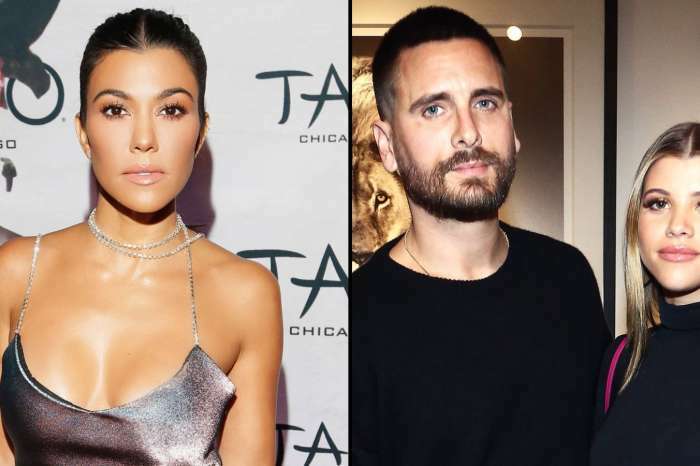 Do you think Scott Disick and Sofia Richie are going to last?